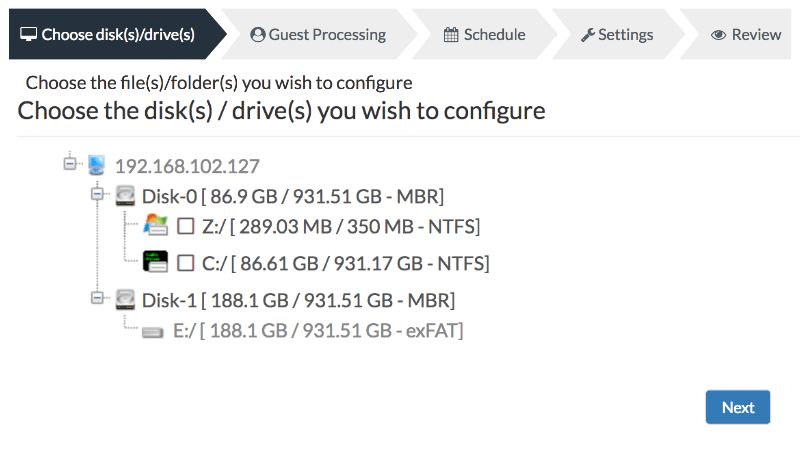 Why choose Vembu BDR Suite? The Vembu BDR Suite Free edition is exclusively designed for Small and Medium businesses running on economical budgets, looking for an efficient Backup and Disaster Recovery plan. 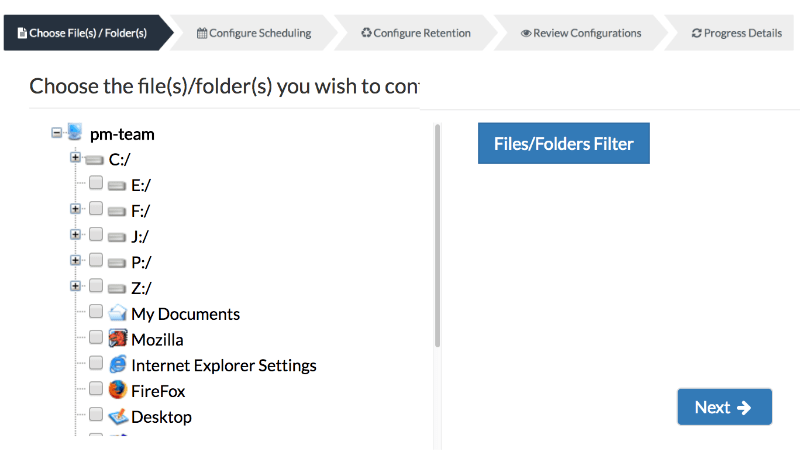 Vembu BDR Suite is a simple yet comprehensive solution which offers flexible backup configurations, multiple recovery options and efficient management which makes it the perfect fit for all your business needs. 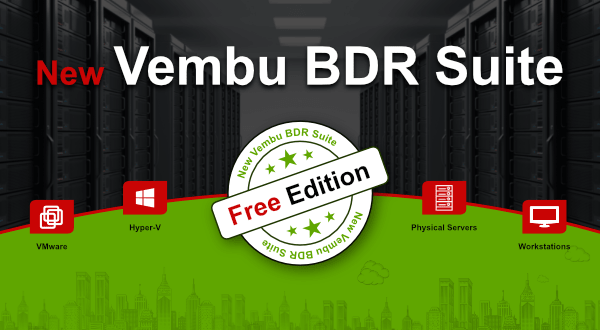 Vembu BDR Suite extends to the users, a 30 day free trial with no restriction to any of the features. After the trial period, users can either continue using the free edition or opt for a license framed according to the different editions offered, such as the Standard and Enterprise. Safeguard your critical servers running on VMware vSphere from unpredictable disasters and data loss for free with Vembu BDR Suite. 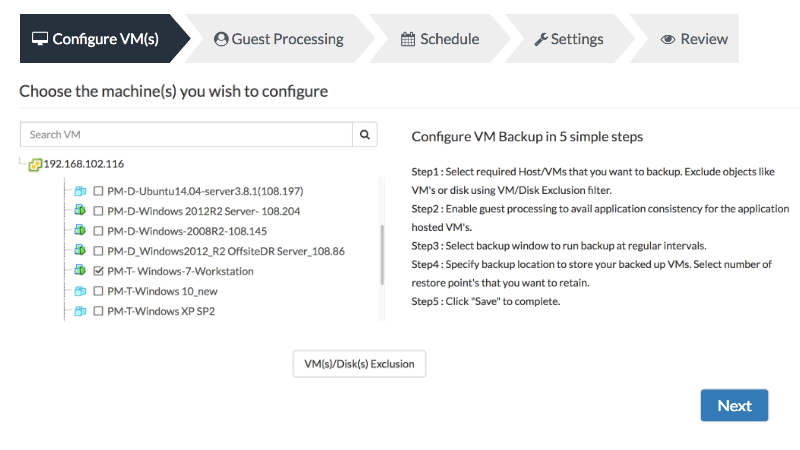 With Vembu’s VMware backup free edition, you can make sure the business is up and running all the time with no or minimal downtime. Simplifying all the complexities of creating a backup policy for Hyper-V Virtual Machines, Vembu has come up with the Free Hyper-V Backup to provide you a complete data protection at zero cost. Vembu ImageBackup for Windows is a comprehensive Backup and Disaster Recovery solution for physical Windows Servers. Protect your entire Windows Servers machine including its operating system, applications, and the data at absolute zero cost. Protecting the workstations is as important as protecting the Windows Servers but scheduling and monitoring the backup for each machine is quite tedious. Reduce the complexities of protecting multiple workstations with Vembu’s ImageBackup free of cost. Data loss is common for any business and it occurs due to various reasons like system crash, accidental file deletion, hard disk corruption, hacking, etc. Protect the business-critical data and applications running on the Desktop and Laptop for free with Vembu File Backup. 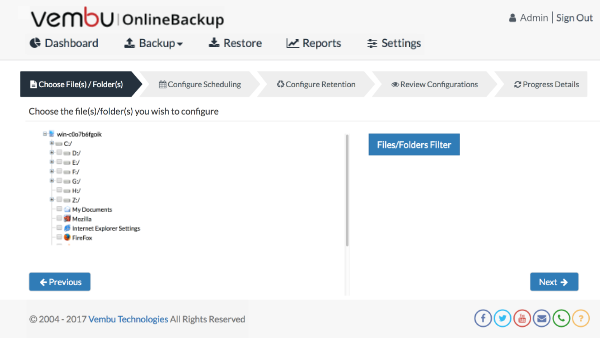 Businesses which do not have a dedicated backup storage and looking to store the backed up data on the Cloud can opt for Vembu OnlineBackup. The data stored in Vembu Cloud can be recovered from anywhere at anytime.